He was born in 1909. Son of a general of the Dominican army. Being very young, he left the country to Paris, where his father was named head of the Dominican mission in France. There he received two years of education at university level and it was noticed his predilection for the nocturnal life and the sports. To his return to the country, he entered the army. 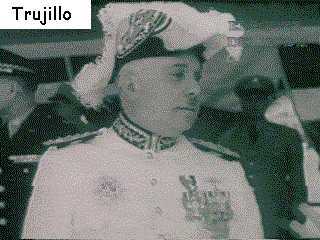 In 1932 he was one of the assistants of Trujillo as a lieutenant. While he participated in an international competition of Polo - his favorite sport - he met Flor de Oro (Gold Flower), the older daughter of the dictator Rafael L. Trujillo. The young lady had returned to the country after studying two years in Paris. In that way, a romance began for Rubirosa that sent him by the ways of the fame and fortune. In December of 1932 the marriage took place. The official of low rank successively became Subsecretary of State of the Presidency, president of the Insurance agency of the dictator and Subsecretary of State of Abroad Relations. In 1934 he was already captain of the army assigned to the aides-de-camp of Trujillo, after to have been through the National Congress like a deputy. In 1935, a cousin of Porfirio, Luis de la Fuente Rubirosa, was accused to assassinate in New York the exiled Dominican Sergio Bencosme. That action, which it was considered like an operative of Trujillo against the exiled politicians, was tie Porfirio Rubirosa. He always denied his participation in the crime. "Rubirosa proved luck in the businesses at the beginning of 1936, in that occasion he acquired an obsolete dredge in New Orleans and he made it transport to Ciudad Trujillo to be used in the construction of the port. The dredge did not serve, and its cost, advanced by Flor de Oro, was never recovered. Rubirosa was very indebted then, but his designation as first secretary of the Dominican Legation in Berlin located him in the very beneficial diplomatic footpath. There he would find future. The ambassador appointments would arrive one after another, and it would be followed by the legend of women and wealth that accompanied his name. Big part of it was due to his astute handling of the personal publicity. Love, in its real sense, he never knew it, not even one of the principles; but the art to adopt before the world the position of a fortunate gallant and the talent to impress ingenuous heiresses, and useless wealthy and lazy parasites, he understood it by instinct". The marriage with Flor de Oro lasted little. In 1937 the divorce took place, that did not affect the excellent relations of Rubirosa with the dictator. On the contrary, his loops with the Trujillo family were reinforced when Rubirosa established a deep friendship with Ramfis, son of the dictator, as addicted as him of the loving adventures and the life of gentleman of the "high society". In Berlin, it was where the fame of Rubirosa began to be created as lover, spendthrift and sportsman. His name began to be outstanding in newspapers. In 1938, Trujillo named him Dominican ambassador in Argentina, where he presented credentials to president Juan Domingo Perón. But Europe attracted him with particular anxiety. Trujillo assigned him to diplomatic functions in France, in 1939. There he was hurt in a mysterious shooting in a street of the French capital. His life in France during World War II was mixed by difficulties. Along to other diplomats, Rubirosa was arrested by the Gestapo, remaining six months in prison. 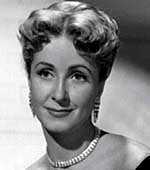 After leaving jail, he knew the French actress Danielle Darrieux, with whom got married. That union lasted five years, but he did not stop his intense life of "play-boy". His friendships grew in all the continents. Shortly after, he married with Doris Duke, rich proprietor of the "Duke Tobacco, Inc.". The marriage lasted little, but it allowed a better economic availability to the Dominican diplomat to whom the reporters of the "Jet Set" identified as "Rubi". The divorce with Doris Duke was followed by the famous Romance with the actress Zsa-Zsa Gabor. 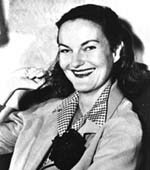 The well-known movie star had commented in Los Angeles, California, that she would like to have a romance with Rubirosa to take revenge of the relationship that supposedly her husband George Sanders had with the ex-wife (Doris Duke) of the Dominican diplomat. Rubirosa, affluent man aware of the commentaries of the atmosphere in which he developed, waited for his opportunity with Zsa-Zsa. In the winter of 1952, Trujillo arrived at New York and stayed in the Plaza Hotel, where it was also residing the beautiful actress. Rubirosa initiated the siege of Zsa-Zsa, arranging to her the most beautiful red roses he could get in the hotel. Her room was practically filled of flowers. Shortly after, Rubirosa rented a room next to which Zsa-Zsa occupied. In tables concurred by princes, where champagne was spilled, Rubirosa ended up convincing the actress to open the doors of her room to him. Days later, the world knew the new romance of the Dominican play-boy with the beautiful young lady of blue eyes. Also the world knew soon the blackened eye of the actress, announcing a fight with Rubirosa. Years later, the Dominican diplomat married Eva Gabor, sister of Zsa-Zsa, Rubirosa, on romantic affaird did not know limits. His diplomatic tasks were always mixed with loving scandals. In 1953, for example, the heir of Reynolds Tobacco, Inc., Richard Reynols, accused his wife of adultery. The English golf player Robert Sweeny obtained the divorced, by the same accusation of his wife Joanne. 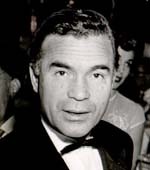 A well-known personage was indicated like adulterer in the pages of newspapers: Porfirio Rubirosa, the man who proclaims that "not to live to the height of the reputation it constituted an unforgivable crime". The scandals by adultery reached such magnitude that Trujillo momentarily suspended him of functions. 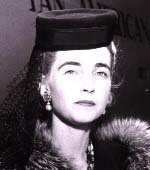 But his various loving adventures converged again towards another rich heiress: Barbara Hutton, granddaughter of the founder of the North American chain of Woolworth stores. 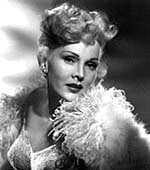 Zsa-Zsa Gabor, who accompanied him in that time, got very angry when she found out that Rubi glided to marry Hutton. In a discussion, Zsa-Zsa pushed him towards the door. Rubirosa reacted offering her a right-hand punch in the eye. In her press conference on the following day, Zsa-Zsa said: "Rubi loves me. Rubirosa in Spanish means red rose, for me it means black eye. A man only hits a woman if he loves her deeply". With that scandal, Rubirosa married Barbara Hutton, on December 30th, 1953, she was married five times before, and Rubirosa had already been married four times. On the honeymoon, Rubirosa met Zsa-Zsa Gabor again, in order to do so, he flew to Phoenix in his private airplane which he had bought by the sum of $200,000 dollars. Part of the money was from the $250,000 dollars which Hutton deposited in the personal account of Rubirosa. The Dominican diplomat had said before he was not interested in the money rich proprietor of stores. 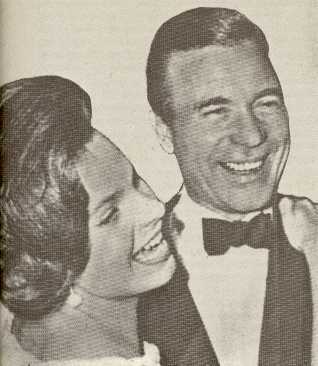 On February 20th, Rubirosa disolved the marriage, after going to hotels, beach houses and mountain cabins with Zsa-Zsa. He justified the rupture of the marriage saying that his woman spent the day on bed and scorned the "active life". The revived romance with Zsa-Zsa lasted until 1955. In the middle of it, Rubirosa and Gabor tried to make a film together. The film would be called "Western Affair". Rubirosa would represent Don Castillo, elegant gambler, owner of a bar. The project was frustrated because the immigration department of the United States rejected the permission for Rubirosa for working in the film. In that period, Rubirosa responded to the preoccupation of Zsa-Zsa about the reasons for which he did not work giving an answer summarizing his attitude about life: "To work? I do not have time to work". In those days, Rubirosa was entailed again to another political murder: the disappearance of professor Vasco Jesús de Galíndez, it happened in the United States on March 12th, 1956. The crime was attributed to Trujillo. The Dominican diplomat denied the entailment in this crime. That same year (1956) Odile Rodin left her artistic carreer in order to marry him. She was 19 years old. Meanwhile, Rubirosa continued playing Polo, participating in races of cars in his Ferrari and sharing pleasures in the highest summits of the opulence. His decline, nevertheless, did not last in arriving. In 1960 the regime of Trujillo was sanctioned by the Organization of the American States (O.A.S.). Rubirosa, always active in the defense of the regime that gave him fame and money, tried to arrange an encounter between the father of North American president John F. Kennedy and the Dominican dictator. That meeting, that would be made on the high seas, failed by the systematic protest of the North American congressmen. Rubirosa stayed faithful to Ramfis Trujillo and the other civil employees of the trujillista regime when the dictator was killed by shots on May 30th, 1961. He was dismissed of his position of inspector of embassies in 1962 by the State Council. "When losing his diplomatic immunity - one of his biographers says - the district attorney of New York questioned him about the disappearance of Sergio Bencosme in 1935 and Jesus Galíndez, professor of Columbia University, in 1956. He declared he did not know anything about those crimes". 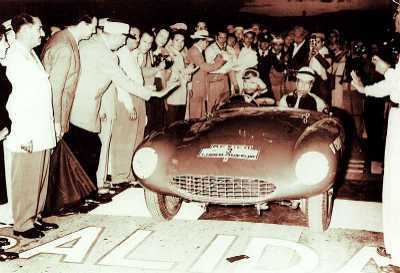 On July 5th, 1965, while in his country was developing an armed revolt, Porfirio Rubirosa lost the control of his Ferrari, crashing against a tree. He was 56 years old when his life finished on "Avenue de la Reine Marguerite".